Perfect for school, home, or office. 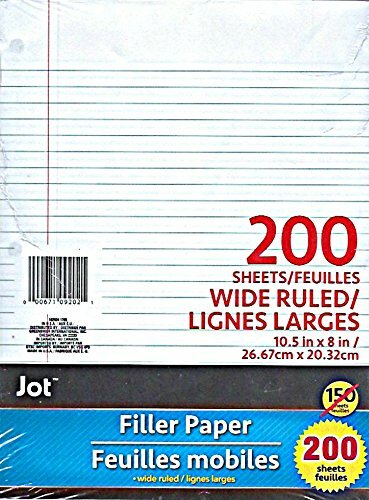 Three packs of 200 pages means six hundred (600) sheets of high quality wide ruled filler notebook paper! Fits all standard folders and binders. If you have any questions about this product by kberly, contact us by completing and submitting the form below. If you are looking for a specif part number, please include it with your message.